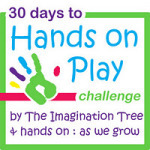 30 Days to Hands on Play Challenge: Playing with Junk! Wow! We are half way through the challenge already! Rummage through the recycling box and pull out some boxes, tubes, milk jugs and whatever else takes your fancy! 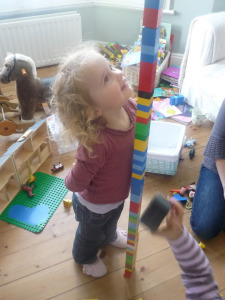 Following your child’s lead, create something to play with together! How about..asking if they want to make a junk model? What could it be? What shapes and materials would work best? How shall we attach it together? Let them be designer and planner in this project! Cakie asked completely out of the blue to make a rocket the other day. She chose the things we would need to get started. 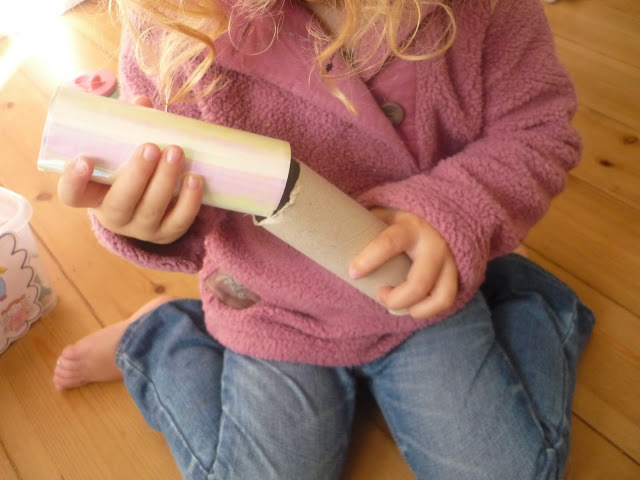 When it’s finished you can use it to play imaginative games together or tell stories! 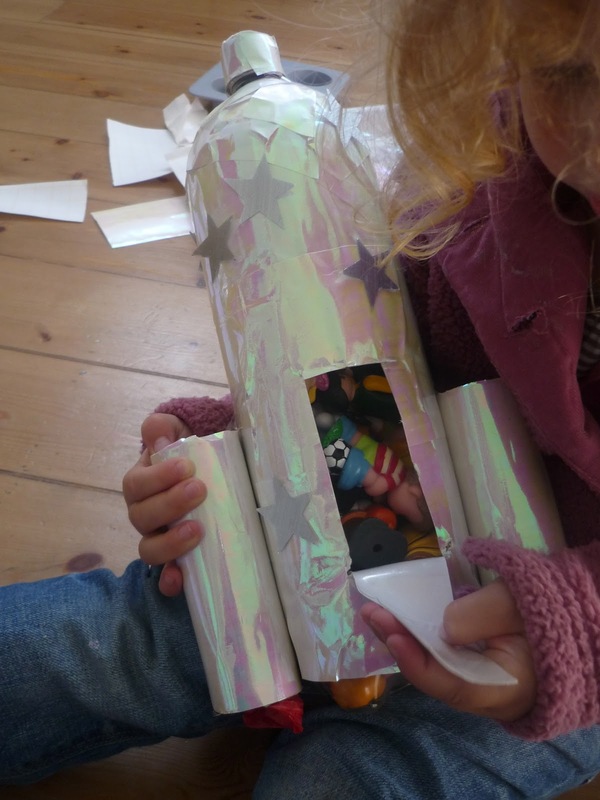 C. played with this space rocket for many days, filling it with her play people and taking them on journeys to outer space! Her finished space rocket! Complete with opening door and ramp for her little people to climb inside. 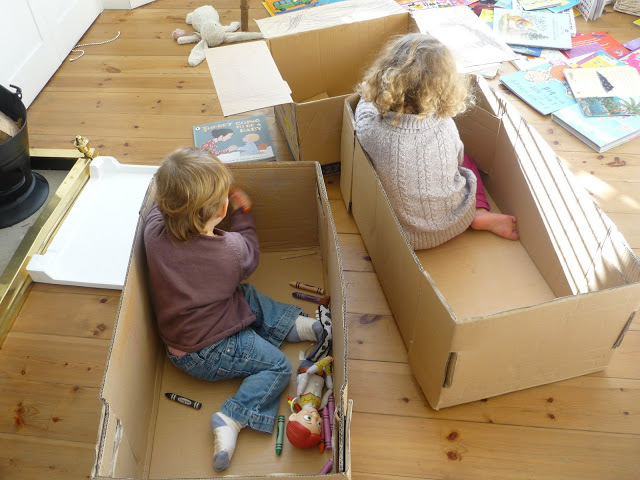 I won’t say much about boxes here as they are a whole topic of another play challenge soon, but how about playing inside one (or two?!) It can become anything your child’s imagination wants. 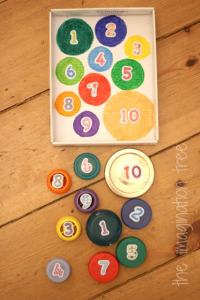 Add other bits and pieces to make buttons, levers, windows, doors…anything! Or simply get inside it and doodle all over it! The girls made theirs into trains, cars, houses and then coloured all over the inside and outsides! Fill egg cartons with beads, buttons, pom poms, duplo blocks and have great fun experimenting with how things fit! Pop exploring a milk jug and duplo blocks! 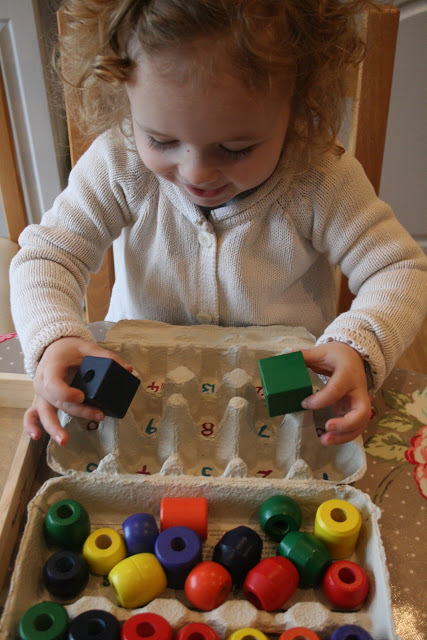 Or check out the list of all the Discovery Box ideas we have put together on this blog, all using recycled or everyday materials for investigative play! Be sure to sign up to receive the emails directly into your inbox each morning. It’s not too late to join the challenge! Read the original post here and go back to see what has been suggested already. Either start there or jump right in! Tomorrow hands on: as we grow will have the challenge for day 16! 30 Days to Hands on Play Challenge: Mega Floor Doodles! 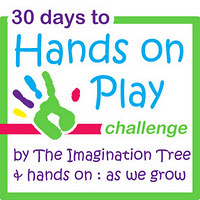 30 Days to Hands on Play: Block Building Challenge! 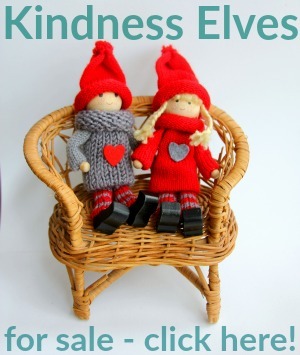 « 5 a Day Books: Thankfulness! Oh, we’ll be digging through the recycling today to see what we can find! I’m even curious what we’ll create today! This is so open-ended! 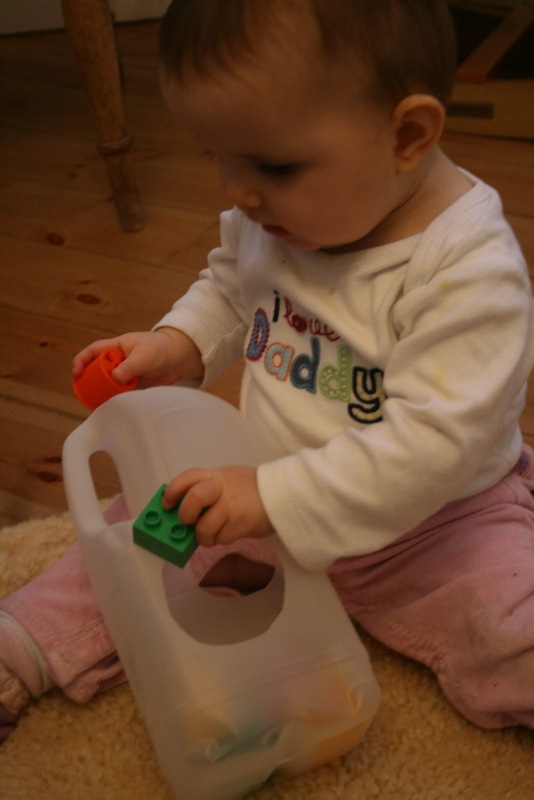 I like the milk jug with a hole for toys! I’ll have to remember that one the next time we have a baby that age, although my 2 year old may not have totally outgrown that one. We play with TIRES! 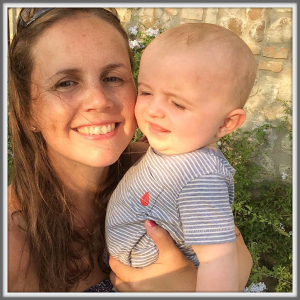 One man’s flat is a preschool child’s treasure! I’m late joining in. I’ve got my mission statement written and can’t wait to see tomorrow’s challenge.